Semi gantry crane is a piece of gantry lifting equipment used indoors and outdoors, such as machine shop, warehouse and freight yard. 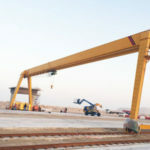 It is also regarded as a combination of half overhead crane and half gantry crane in that it is mounted to a carriage that travels on an overhead runway on one side and supported by a leg that travels along rails on the ground on the other side. Designed for general purpose, this type of crane can be used for small to heavy duty lifting work in manufacturing and material handling industries. 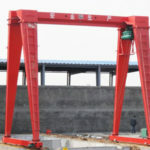 The semi gantry cranes supplied by Dafang company are also available in custom design to meet your special requirements. 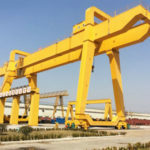 The single leg gantry crane falls in two main configurations, including single girder and double girder, which differ from each other with respect to lifting capacity, working class, lifting height and speed. BMH single girder semi gantry crane is a sort of light duty crane equipped with CD1, MD1 electric hoist. The lifting capacity is usually in a range of 2 tons to 16 tons, and the work duty is A4. BMG double girder semi-gantry crane is capable of lifting heavier loads than its single girder counterpart. Additionally, it can reach a greater lifting speed and higher efficiency. The work duty of this crane is A5. 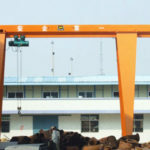 Why Should You Use This Particular Gantry Crane? 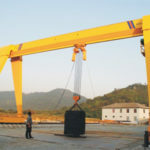 Semi gantry crane is extensively used inside your facility as well as outdoors for general lifting purposes. By mounting on an elevated runway on one side, it can effectively save your workspace. Therefore, it is an ideal option when your yard space is limited. 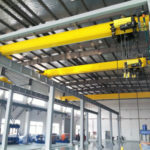 Another distinctive feature of single leg gantry crane is that it can be installed below a pre-existing large overhead crane, which enables it to cover an extensive floor area without getting in the way of overhead lifting process. 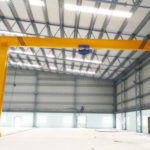 The semi gantry crane is also a good option when you only require a partial coverage of your facility since conventional overhead travelling crane spans the entire width of your building. 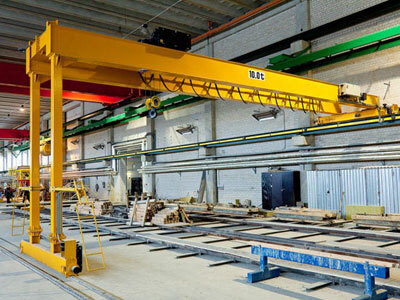 Besides, compared to overhead cranes, it requires fewer supporting columns so that it can save a great deal of cost. 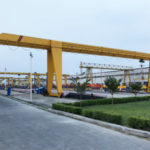 Semi gantry crane consists of a gantry frame that is made up of one or two bridge girders and connected to a single leg one end. The other end travels along an elevated runway beam that is either mounted to building columns or engineered columns. It incorporates the use of several simple mechanisms and units to perform lifting and travelling work, including hoisting mechanism and crane travelling mechanism. The hoisting mechanism can be directly mounted to semi gantry crane for raising and lowering loads as well as travelling horizontally along the bridge girder. For small capacity semi gantry crane such as 1 ton, 2 ton and 3 ton, it will be typically equipped with an electric chain hoist. Whereas large capacity crane will be designed with electric wire rope hoist for more efficient lifting. Regarding crane travelling mechanism, the single leg can be mounted to a carriage that will run along a ground level rail or simply use tyres for trackless travelling. 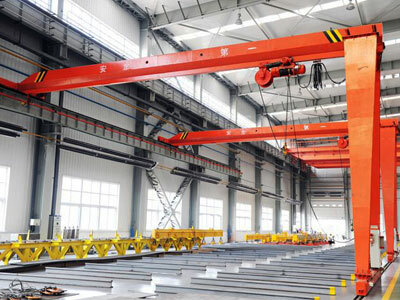 Semi gantry crane can be controlled either by a wired pendant control or wireless remote control. 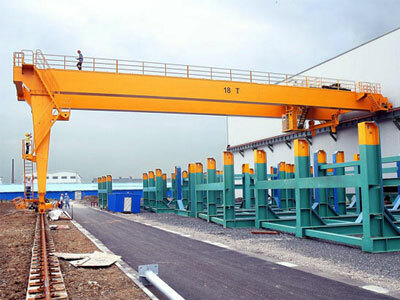 Dafang group is recognized as one of leading semi gantry crane manufacturers and suppliers in China. We provide optimal semi gantry crane design, fabrication and one-stop service for clients. We can customized the most practical lifting solution for different fields and sectors. Contact us online or email us to get a free quotation.